Did you know that ThinkGlass offers the possibility to add an artistic artwork to your countertops, backsplashes or any other type of thermoformed glass application? We are pleased to introduce one of them with LED lights in the showroom of our Florida dealer Allied Kitchen and Bath. Do you want to enhance your outdoor design? 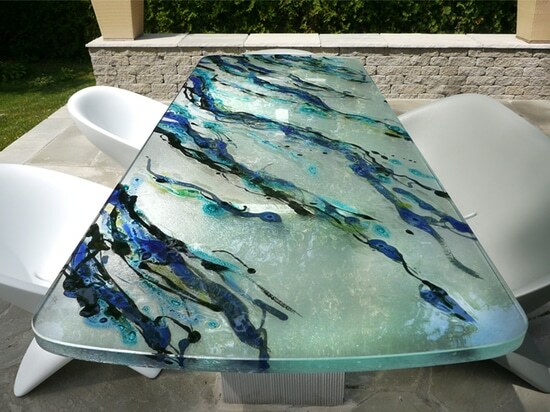 Our thermoformed glass table tops are the perfect solution to greet your guests. 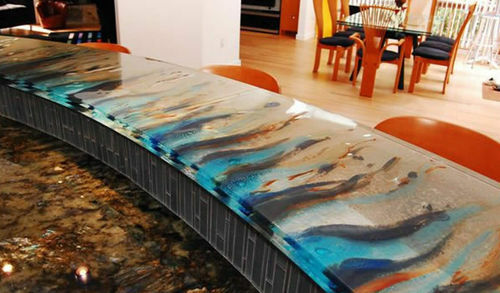 Our glass artist Michel Mailhot designs real artwork while maintaining the incomparable properties of glass. 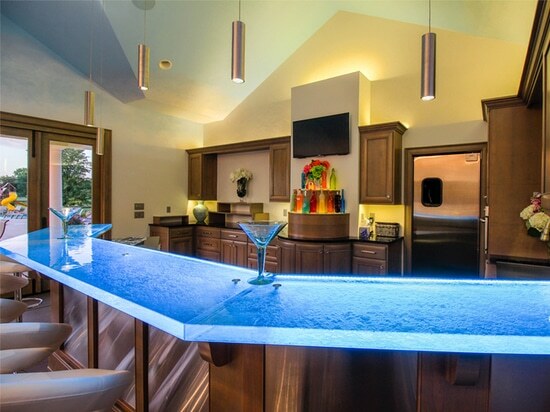 Customize your kitchen island with our thermoformed glass countertops! A unique material for a distinct style and a refreshing look of your interior decoration, which will not go unnoticed. 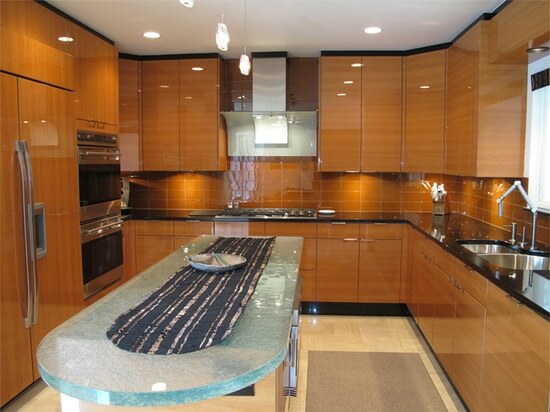 Who would like to have an additional and functional surface in his existing kitchen or bar countertop? 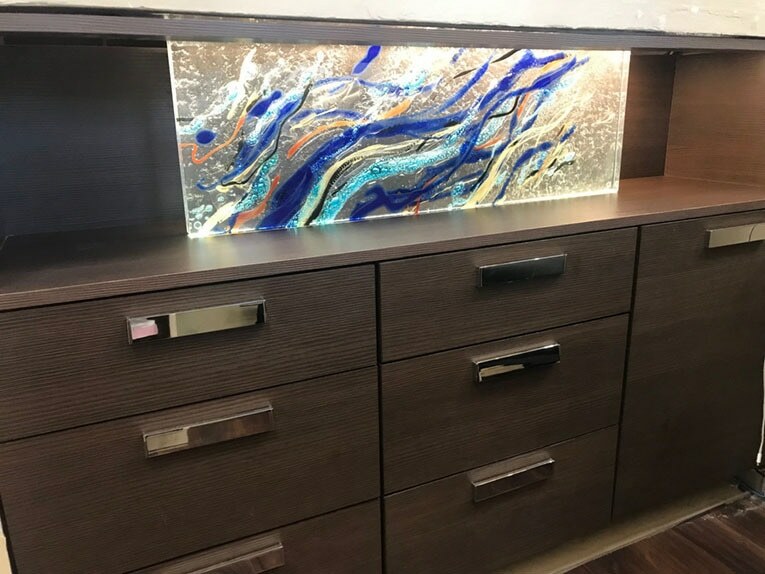 The addition of a glass raised bar top is an economical and aesthetic way to complement your interior design, as well as being able to take advantage of the unique and exclusive properties of thermoformed glass. 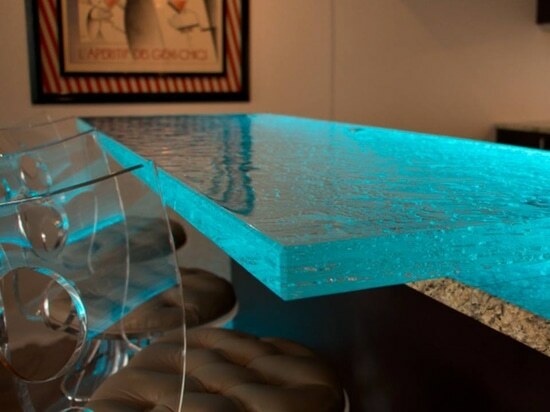 a lighting countertop! a lighting countertop!